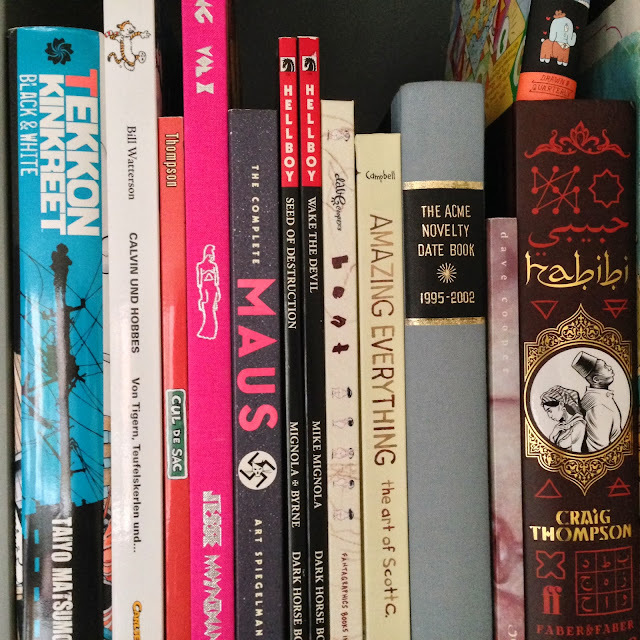 Here it is: the last comics shelfie of January- but don't worry, there's still more to come, one every fortnight, as promised. 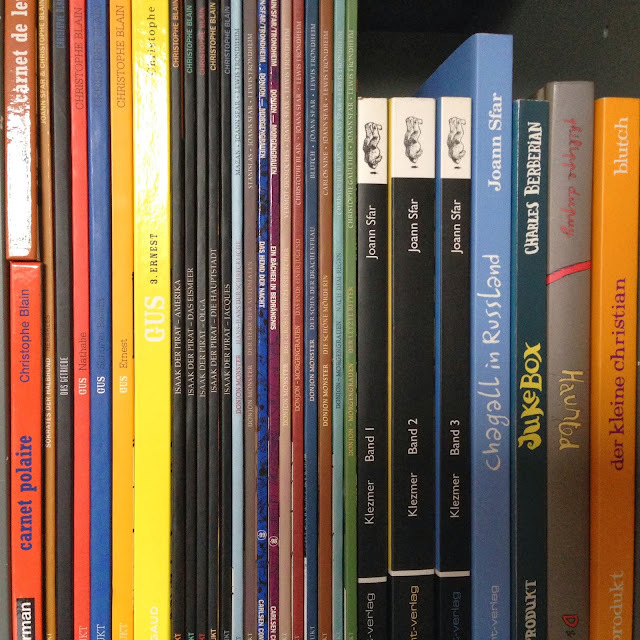 This instalment of Comics Shelfie sees us welcoming one of my favourite cartoonists, Thomas Wellmann- a brilliant and hugely talented comics artist from Germany, to talk us through his comics collection. 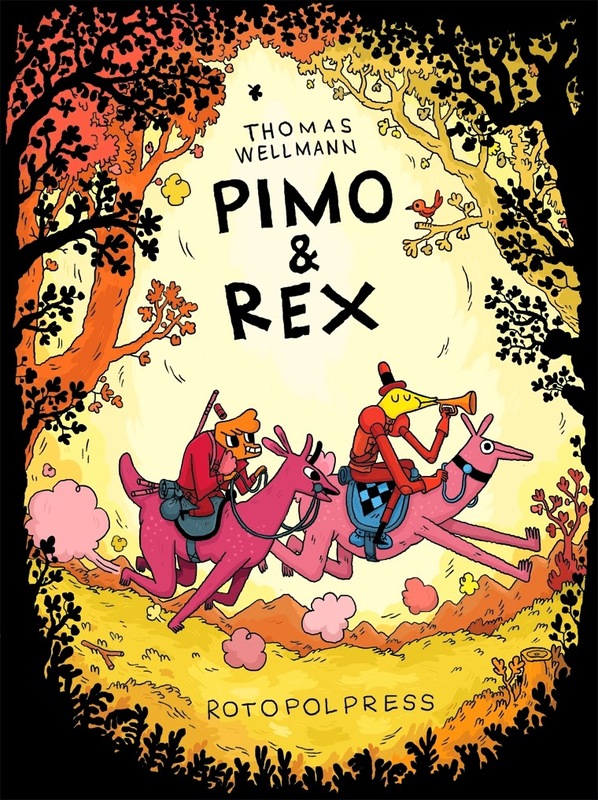 Wellmann released his first major English language work towards the tail end of 2013- Pimo and Rex, a gorgeous book about the adventures of the two best friends, who seem unable to keep themselves away from mysterious goings on, alluring magic ladies and villainous bad guys. I loved so much it made it onto my best of the year list. His work is generally stunning: most noticeable for it's glorious use of colour, but also for its detail and characterful-ness. I've no doubt we'll be hearing a lot more about Wellmann in the future, but for now, you can find his website here, and his Tumblr blog here, the perusal of either one I'd urge. 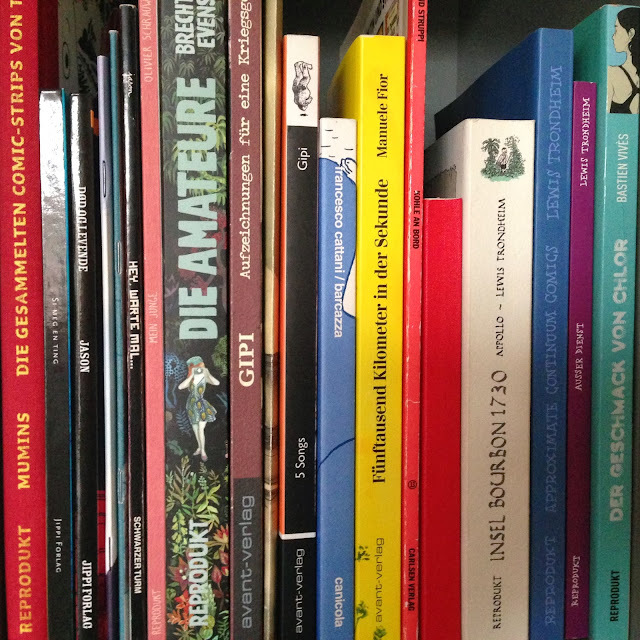 'I started buying comics pretty late, during my time studying 'Kommunikations Design' in Düsseldorf. Before that I only hat a handful of randomly aquired single books, which, by now I have almost all sold. 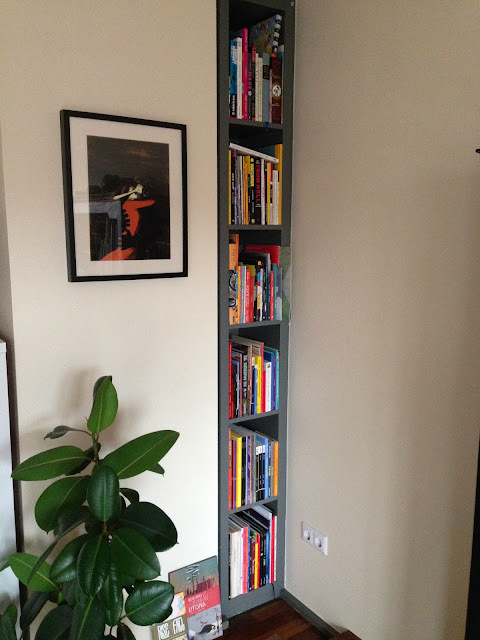 I purge my library from time to time, getting rid and selling books that I don´t really like anymore. 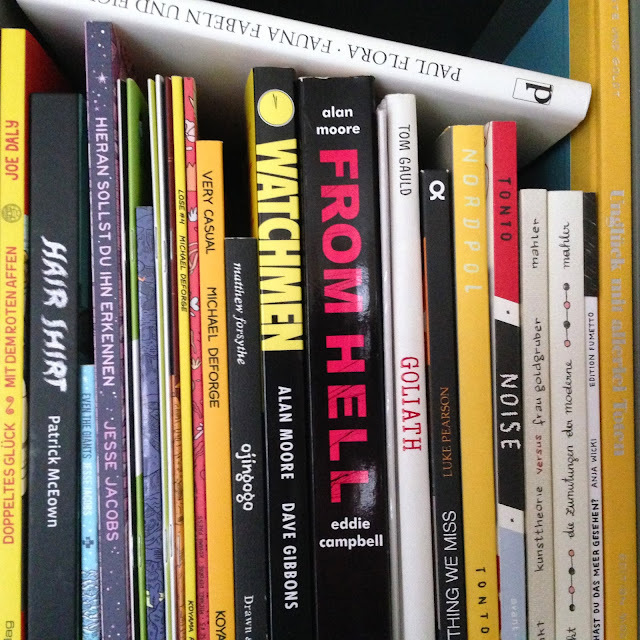 Nonetheless, my library is constantly growing, mostly when I return from comic festivals where I like to buy books and swap comics with other comic artists who I admire. 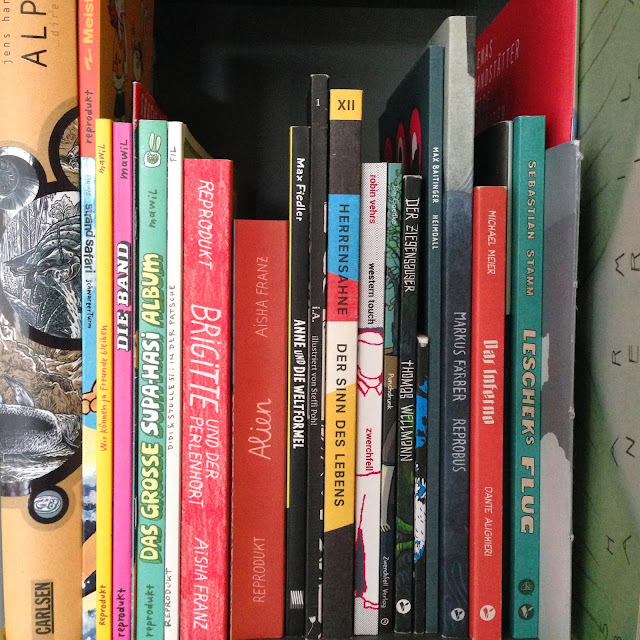 So, these are mostly my books with a back, additionally, I store a whole bunch of zines, postcards, posters and the like in a drawer in our basement. 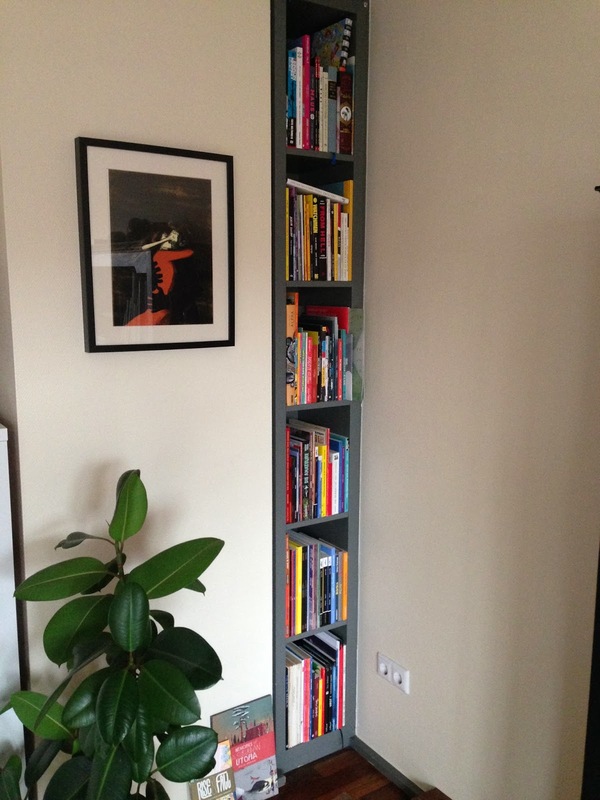 I also have a small collection of books just for showing around when doing a workshop or seminars. Discovering Isaac the Pirate from Blain was my ignition point of wanting to draw comics. It was so different from what I'd seen before, so well drawn and so fluid and effortless. 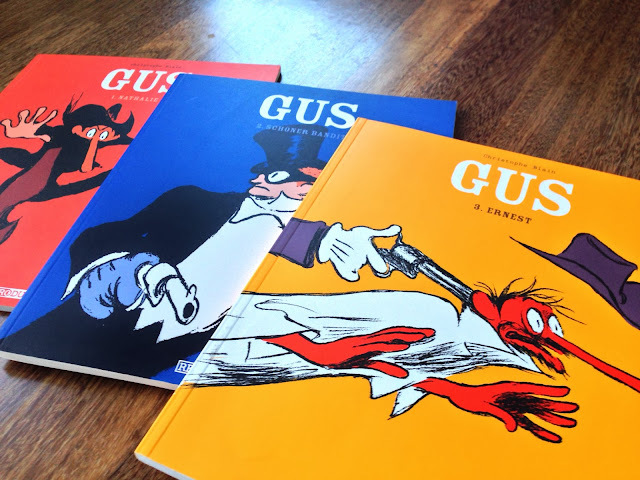 The Gus-series are my favorite comic books. 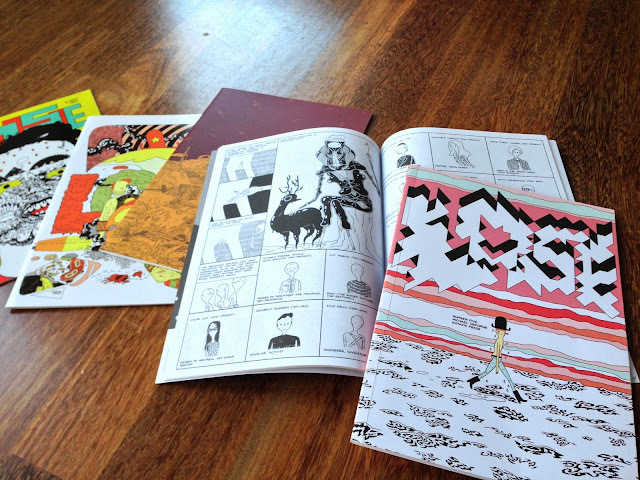 Michael Deforge is from the future. 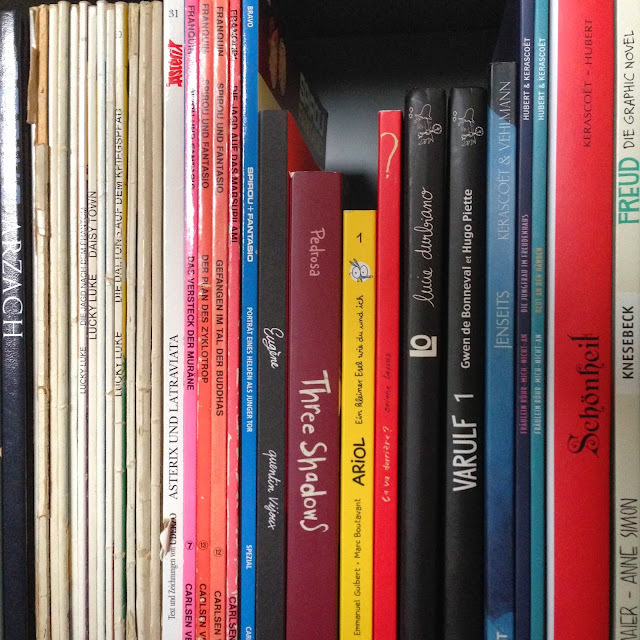 I found this on my first visit to the Angouleme Comic Festival in 2013. 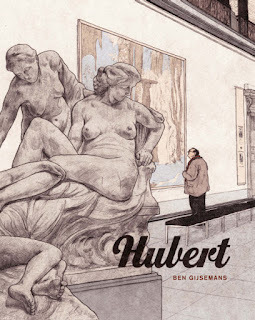 Angouleme is devastating, in terms of the vast amount of talent you're exposed to, most of who are almost unknown outside of France. But for me, this wonderful story about a family on their road-trip to vacation was by far the most wonderous thing I saw there. Oriane Lassus has such a charming and unique way of teeling her stories. She´s able to even make the reader feel what the fabric of the car seat feels like. 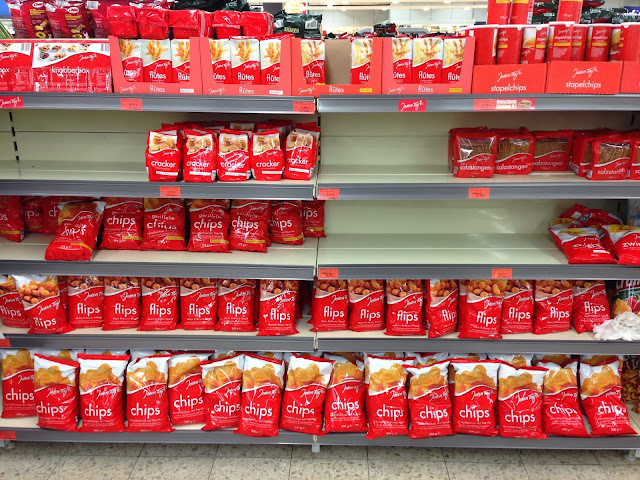 There are so many wonderful ideas of how to make the reader experience whats going on. I read this one with a friend from front to back, together behind a festival booth and it had us giggling like little girls.